We don't believe in minimum order quantities or charging a setup fee. Whether you need high-quality premium printed products or just cheap promotional items, No-Minimum can offer you a unique solution that meets all of your marketing requirements. We've paired state-of-the-art digital printing technology with our ground-breaking web-to-print system, which means that designing and ordering your personalised products online has never been easier. 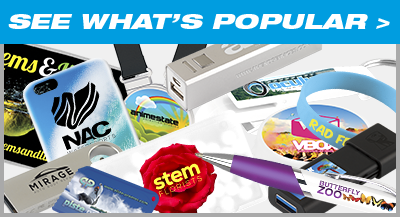 Browse our huge range of promotional items and upload or design your branded artwork directly on the product. Use your own artwork or choose from our range of industry relevant, royalty free stock images and photos to give your custom design a professional flare. When you’re happy with how it looks, hit "add to cart" and checkout quickly and securely online. All of our digital branding machines are operated by experienced industry professionals who are able to deliver superb print quality that you won't find elsewhere. Regardless of how small or large your order, we'll always ensure the best possible quality AND give you the best possible price available with absolutely no hidden fees or setup charge. No-Minimum is the only place you need to shop for promotional marketing campaigns small or large. 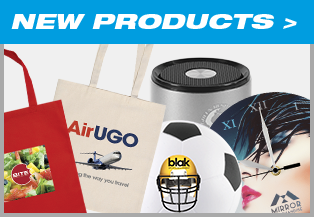 As a trade-only supplier of printed products, we're particularly proud of our partnered network of authorised promotional merchandise distributors. When you place an order with us, we'll automatically select a local promotional product distributor to take care of your order. You'll receive a personalised order notification email with a link to track the production of your order along with the contact information of your distributor, should you have any questions.